Conquering new heights for InspireHealth! 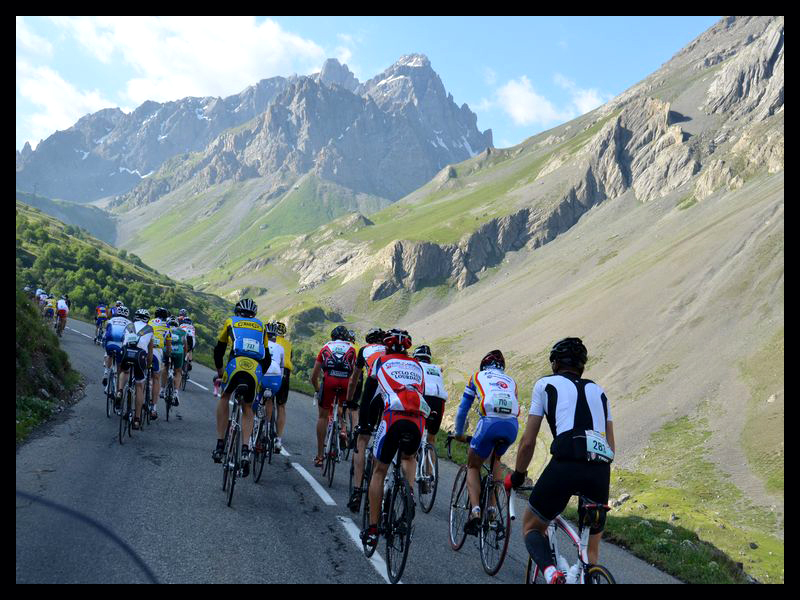 Five weeks from now, a team of 10 inspired cyclists will ride the 2012 L’Etape du Tour, an annual event, which is held in conjunction with the world famous Tour de France. This amazing challenge is an actual stage of the Tour! On July 8th, the team will encounter one of the most challenging L’Etape du Tour stages ever – riding 152 km and climbing over 4,600 metres of elevation over four major mountains from Albertville to La Toussuire ski station in the Alps. To raise $50,000 in support of InspireHealth. Help them reach this goal by donating to their ride today! Team Leader, Mitchell Edgar, discovered this unique cycling challenge while visiting France to watch the 2010 Tour de France. The chance to ride an actual stage of one of the world’s most prestigious professional sporting events was too much for this cycling enthusiast to pass up. Mitchell crossed the finish line in just 11 hours following a 181km gruelling ride. This special moment marked the end of one the most challenging, exhilarating and unforgettable rides of his life. Upon returning to Vancouver, he knew that he wanted to test his endurance and ride this challenge again. Thinking it over, Mitchell realized that L’Etape du Tour would work as a great fundraising event for InspireHealth combining his passion for cycling and integrative cancer care. Last year, five dedicated riders- including two InspireHealth members and Dr Ron Rezick, a medical doctor at InspireHealth Victoria – raised over $30,000 for those with a cancer diagnosis. This July, ten passionate InspireHealth advocates and members, will travel to France to compete in one of the world’s most famous cycle challenges. These riders have been training for this physical endurance test for months – safe in the knowledge that this hard work will be worth the sense of achievement as they cross the finish line and reach their fundraising goal of $50,000. 100% of the funds raised from this event will be donated to InspireHealth and invested in the programs and services we offer those living with a cancer diagnosis. Help the team reach their$50,000 goal by sponsoring a rider or donating to the overall ride, and by forwarding this email to your friends! Help this group of passionate, motivated individuals reach their goal as they embark on this life-transforming event to make a difference in the lives of those touched by cancer. This entry was posted in Inspirers and tagged cancer, cycling, donate, fundraising, L'Etape du Tour, ride, support. Bookmark the permalink.